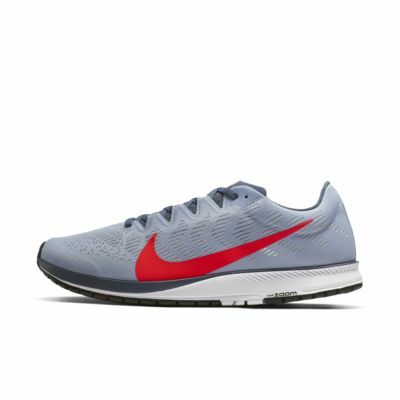 Inspired and tested by the world's fastest runners, the Nike Air Zoom Streak 7 delivers the feeling of continuous propulsion through its anatomical toe, redesigned midfoot and innovative outsole pattern. Its lightweight, minimal design keeps you focused on the finish line. 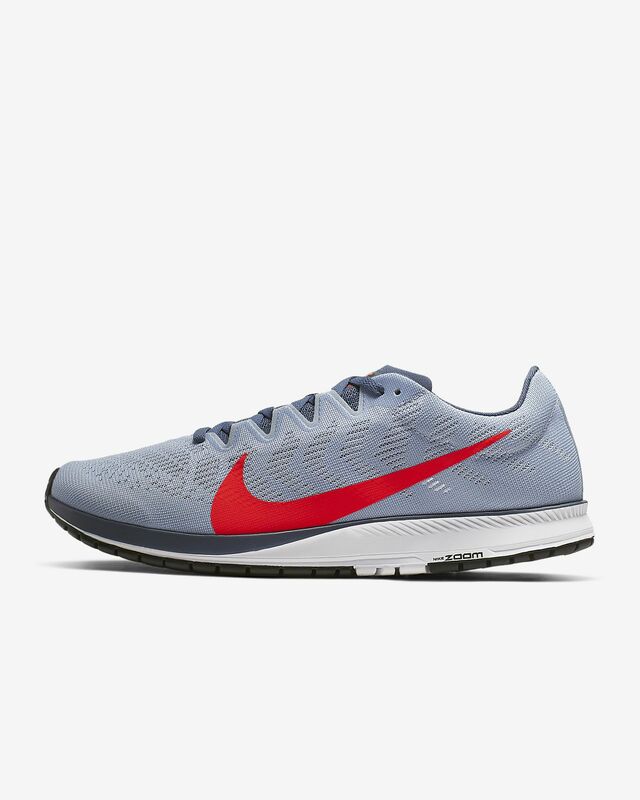 Inspired and tested by the world&apos;s fastest runners, the Nike Air Zoom Streak 7 delivers the feeling of continuous propulsion through its anatomical toe, redesigned midfoot and innovative outsole pattern. Its lightweight, minimal design keeps you focused on the finish line. Anatomical toe design follows the natural contours of the foot. It increases space in the forefoot, which lets your toes splay naturally. Zoom Air unit in the heel delivers low-profile, responsive cushioning. The unique traction pattern was created using an algorithm to identify lug shapes and sizes that optimise energy return. Engineered mesh upper provides zones of ventilation. High-abrasion rubber in the heel adds durability. Internal arch strap provides a secure fit in the midfoot. Lightweight foam cushions your stride. Outsole grooves between lugs promote a smooth, natural range of motion. Super lightweight, really comfortable with just enough cushioning to take the edge of your stride. I've now purchased two pairs of this shoe, which is now my one and only shoe. Listed as 10mm heel-toe-drop but seems more like 8mm. Needs more cushion in forefoot. Feels a bit wide on foot. Would not buy this racing flat. Was hoping this new model was better than the last but seems the same.